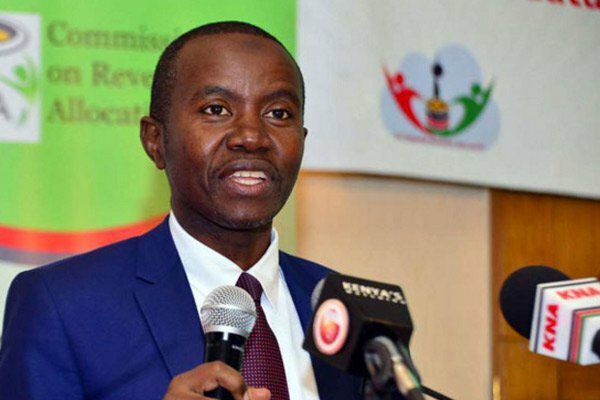 The government, through the ministry of Information Computer and Technology (ICT) Cabinet Secretary Joe Mucheru, on Monday revoked the appointment of Jared Peter Odoyo as a member of the Kenya Institute of Mass Communication (KIMC) board. Following state appointments which were gazetted on February 8, Mr Kwaga’s appointment raised concerns from the public due to his involvement in the alleged theft of Ksh2.5 billion from Migori County Government. “In exercise of the powers conferred by section 5 (20(h) of the Kenya Institute of Mass Communication Order, 2011, as read together with section 51 of the Interpretations and General Provisions Act, the Cabinet Secretary for Information, Communications and Technology revokes the appointment of Jared Peter Odoyo Kwaga as member of the council of the Kenya Institute of Mass Communication,” read the notice issued by the ministry. He had been appointed to the KIMC board alongside former Bunchari MP Zebedeo John Opore, Edward Musebe, Dee Kivuva Mutisya, Beatrice Marshall and Kagiri Kamatu. It is however unclear why the CS had initially appointed him to the board despite his integrity being in question. Kwaga was among Obado’s accomplices whose bank accounts were frozen in September 2018, due to the allegations that they were part of the officials embezzling county funds. The others included Ernest Omondi Owino and Joram Opala Otieno. According to the EACC, Kwaga owns several companies and he is under investigations over the possibility that he was one of the proxies Governor Obado used in the alleged theft of county billions. They further divulged that his companies are alleged to have received millions of shillings through fake tender payments, while the money was being transferred to the governor’s relatives.